It is amazing that May has arrived already! 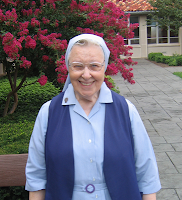 At my house we enjoy the gardening of Sisters who were on mission at our house before us such as Sr. Anne Higgins. One blooming plant overlaps another--a long chain of beauty. Thanks Sr. Anne! May is the traditional month to celebrate Blessed Mother and it was fitting that Sr. Mary Bernadette Forney passed away the beginning of this month. Blessed Mother could not have had a bigger fan!! Sr. Mary Bernadette was on mission in Emmitsburg, MD for many years visiting the sick and shut-ins in their homes and also visiting a nursing home in Frederick regularly. 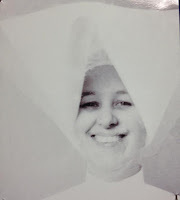 Sr. Mary Bernadette was such a joyful person and spoke so easily of God's greatness and the blessings of His mother that she was a natural evangelizer. 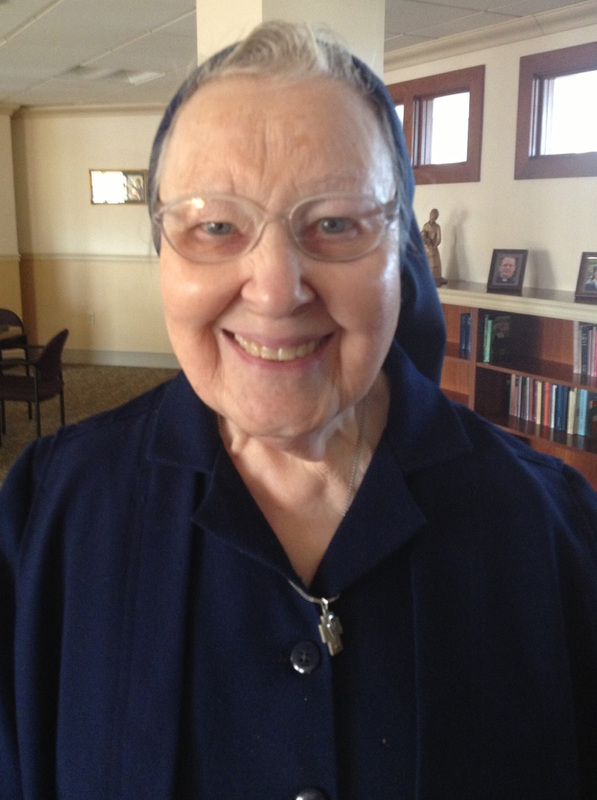 At her wake, several people went to the mic to speak about their conversions through Sr. Mary Bernadette. Recent photo, passed away at age 90! 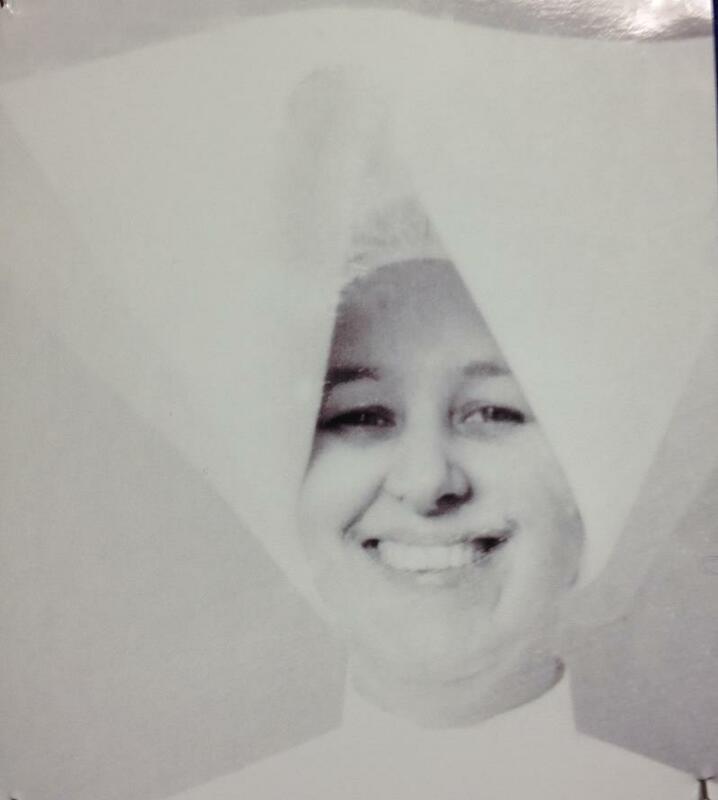 Sr. Mary Bernadette quite a few years ago. Another gift of May is the abundance of First Communion celebrations! Here is my nephew, Liam, as he is about to take his turn walking in the opening procession. His joy is written all over his face! Can you remember your First Communion? What memories does it stir up? What brings you joy now? Are you taking time "to smell the roses"--literally or figuratively? This time of year many people put Miracle Gro and other fertilizers on their plants. How are you fertilizing your faith? What good things are you feeding it? Do you remember to water it in those dry times? A joy-filled faith is available to all of us whether we are 8 or 90 years old (or anything else). Jesus tells us, "I tell you, ask and you will receive; seek and you will find; knock and the door will be opened to you. For everyone who asks, receives; and the one who seeks, finds; and to the one who knocks, the door will be opened," Luke 11:9-10.